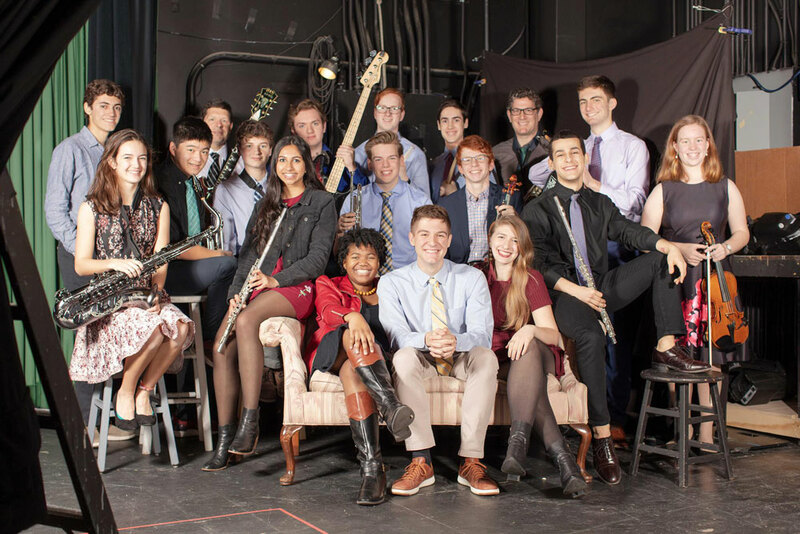 Durham Academy student-faculty jazz-rock ensemble In The Pocket will stage its biggest show of the year — the Spring Show benefiting SOCK Camp — Friday, April 5, at 8 p.m. in Kenan Auditorium. In addition to the incredible music ITP is known for, the show will incorporate special lighting, staging and technical effects provided by Upper School technical theater director Jake Kavanagh and his students. It’s also the culmination of a very successful year in ITP, and the final show on Kenan stage for the group's seniors. The show will feature favorites that audiences have loved at some of ITP’s previous shows, as well as brand-new tunes that will be debuted throughout the evening. Of special note, Django Haskins (of the band Old Ceremony, and husband of English teacher Lauren Garrett) will join ITP to reprise a song they performed together at Motorco Music Hall earlier in March. Each year, the ITP Spring Show is held in partnership with SOCK (Serving Our Community’s Kids) Camp and serves as its biggest fundraiser of the year. SOCK is a completely student-founded and student-run week-long camp that Upper School students organize for students from area public elementary schools who otherwise would not have the opportunity to attend summer camp. SOCK’s directors and counselors will be in attendance at the show (look for them at a table set up in the lobby of Kenan) to talk to folks about the camp, as well as selling refreshments and accepting donations. See more details and help spread the word about the show via the ITP Spring Show Facebook event page.